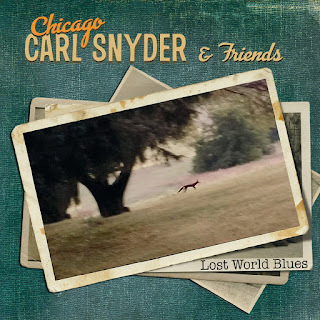 “Chicago” Carl Snyder is one of those under-heralded artists whose work has somehow flown under the radar of the popular recognition, despite having performed for over 50 years with the likes of Junior Wells, Otis Rush, Son Seals and Jimmy Johnson. He has played on two WC Handy award-winning albums and two more that were nominated for Grammies. He also appeared in the film, “Blues Highway,” which was nominated for an Academy Award. Since moving to Pennsylvania in 1996, he has continued to play blues, jazz and cocktail music in a variety of settings, while launching and operating his own record label, Lost World Music, and hosting radio shows on college and public stations.